Bad Dream Entertainment, 9780996038171, 312pp. Something truly unnerving happens when you begin to strip the fantasy from horror. Collected from the first two years of Bad Dream Entertainment's existence as an online home for eclectic horror and modern fantasy fiction, Dark Little Dreams: An Anthology of Dark Fiction brings readers fifteen imaginative and haunting stories that stray far across the fringes of literature. From lost spirits to buried secrets and workplace oddities, this original anthology presents a surreal compilation of tales from some of the best current authors in horror, contemporary fantasy, and science fiction. 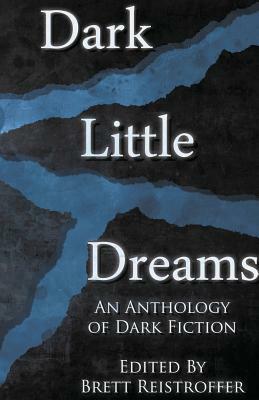 Featuring both new and seasoned writers alike, and all with their own uniquely uncomfortable stories to tell, Dark Little Dreams is an authentic and well-rounded collection of short fiction from the darker side of the page. Eric J. Guignard, Santiago Eximeno, Christopher Nadeau, MP Johnson, Brian Culp, Mark Patrick Lynch, Louis Rakovich, Travis Burnham, Tim Jeffreys, Robert G. Ferrell, Anna Yeatts, Gerri Leen, Jay Seate, Birney Reed, and Brett Reistroffer.